In some versions of the myth, she was also not the most important but if I’m going to sit here and mention Nike I have to mention all her siblings as well. 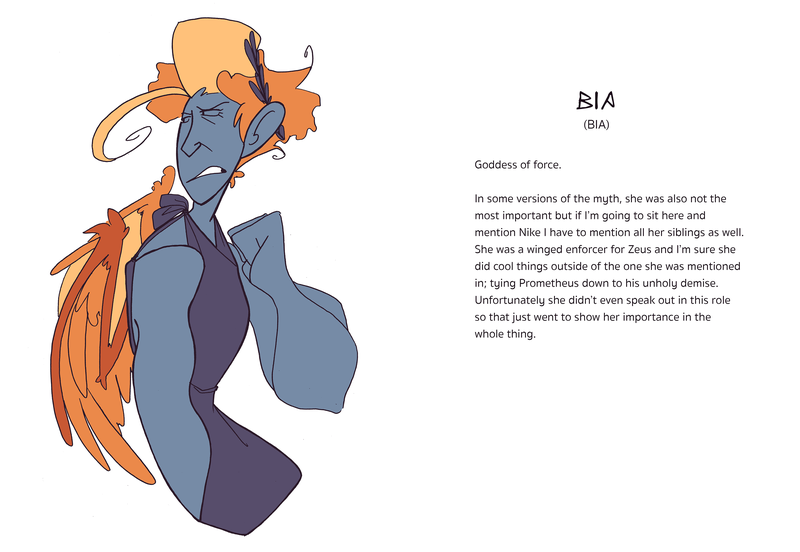 She was a winged enforcer for Zeus and I’m sure she did cool things outside of the one she was mentioned in; tying Prometheus down to his unholy demise. Unfortunately she didn’t even speak out in this role so that just went to show her importance in the whole thing.